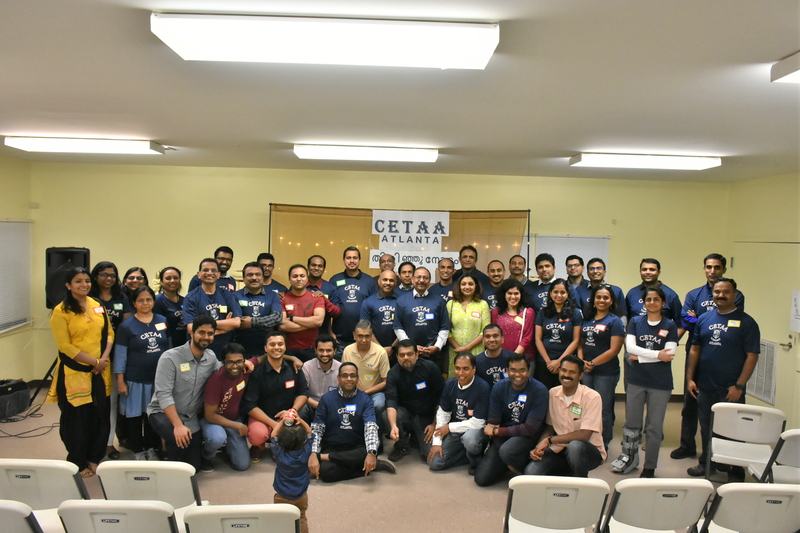 Atlanta, GA, April 9, 2018: Over 50 graduates from the College of Engineering, Trivandrum (CET) gathered together to form a chapter of CET Alumni Association (CETAA) in Atlanta on March 24, 2018 at the Sawnee Mountain Park in Forsyth County. The get-together of alumni, all Atlanta residents, featured graduates ranging from the class of 1971 through the class of 2011. A nostalgic recall of their academic life apart, the chapter discussed several initiatives that would benefit the community and former students. The meet was organized by a team of young engineers working in various technology organizations in Atlanta led by Binu Kasim, Shibu Thomas, Rajesh Pillai and Siva Kumar. The program started with the lighting of the traditional oil lamp. 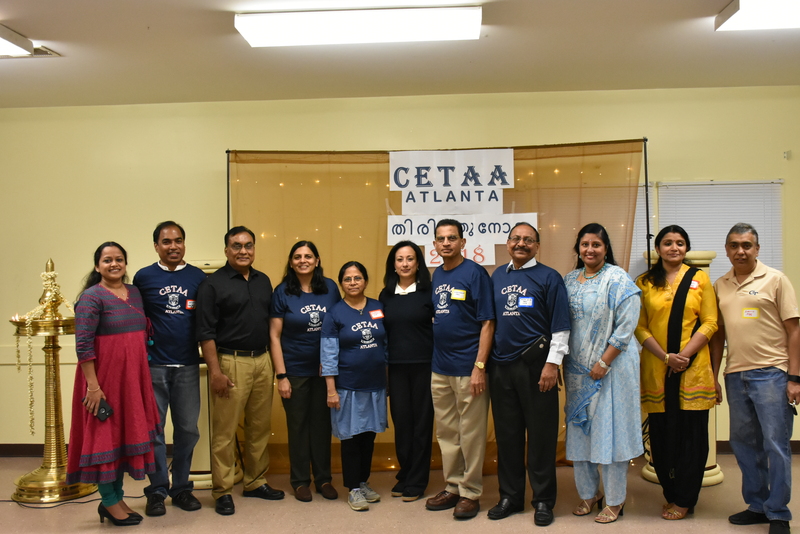 The Atlanta Chapter of CET Alumni Association (CETAA) was then formally announced by Binu Kasim in his welcome speech. CETAA was formed in 1976 with the aim of establishing rapport with former students and to have common programs which will be mutually beneficial to the vast alumni community and society. Around 4000 of the former students are life members of the association. The Atlanta chapter will bring together more than 60 former students of the college. The hallmark of the inauguration was honoring the three senior CETians living inAtlanta; Vijaya Kumar Nair, Ajith Nair and Bahuleyan Nair. The inaugural celebration also highlighted the ‘CET Spirit Wear’ distribution to remind about the CET days and to keep up the team spirit. “I will look out for opportunities in volunteering, where the knowledge and skills of the members could be utilized for the greater benefit of the Atlanta community,” said Binu Kasim. Charity organizations like Habitat for Humanity, Meals by Grace and Hosea Feed the Hungry were suggested for partnership in this initiative. 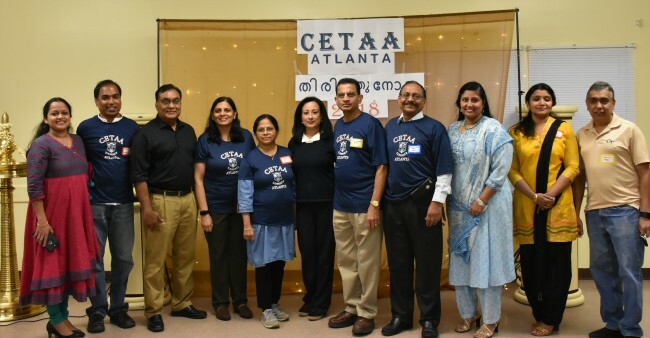 CETAA also has plans to partner with other Indian associations and the Consulate inAtlantato make the best use of its talent pool for the benefit of the community. A snap drive for supporting the family of a former student who met with a tragic end inOmanraised about $500.